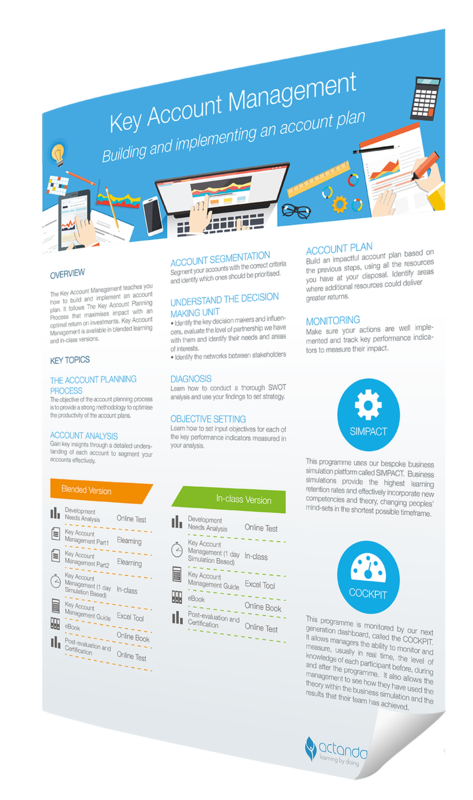 Download our booklet "Key Account Management"
Learn how to build and implement an account plan! Follow the Key Account Planning Process to maximise impact with an optimal return on investments. Provide a strong methodology to optimise accounts' productivity.